Morgan Sindall and Slough Urban Renewal teamed up to provide Slough Borough Council with a BIM solution not just for the design and construction of 4 leisure centres but, also for the FM delivery post completion. In order to provide this end to end solution, Morgan Sindall engaged FM180 to deliver a unique and cutting edge IWMS solution for the client. The system chosen was MainManager, a Scandinavian solution that has the capability to integrate 3D models directly into the FM functionality. The project consisted of 4 refurbished leisure centres funded by Slough Urban Renewal and delivered by Morgan Sindall. The first three centres are already complete and operational with the final centre being delivered by the end of March 2019. First to complete was Slough Ice Arena, followed by Salt Hill Activity Centre and then Langley Leisure Centre. Although MainManager has been used in Scandinavia for many years and already manages numerous ‘BIM’ structures, this is the first deployment in the UK. There were obviously differences between the UK BIM process and the Scandinavian methodology but, technically, we are in the same ballpark and FM180 have been using MainManager in the UK for over 6 years. This deep understanding of MainManager and the UK BIM mandate has allowed us to work with the developers to ensure a robust and effective method of capturing BIM data for the Operate and Maintain phase in a UK setting. 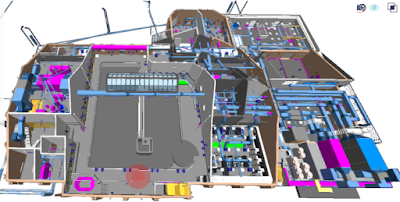 One of the main challenges with converting BIM data for operations is that the FM team need to be able to structure not only the data itself but, how that data is organised for operational delivery. For example, a flat import of COBie or an IFC will create objects although, the data itself doesn’t understand how to group and sort these objects for optimal FM service delivery. MainManager has processes that allow us to configure the asset register in a way that supports the FM operation for the client. Whilst every site is different, the principles are the same and we have found that using the ‘BIM’ way in all our projects has given us valuable benefits. We have always used solid project delivery methodology but, bringing the BIM process into our way of working has given us further efficiencies. Added to that the level of automation that is now possible via importing of IFC’s produces savings in time, resource and vastly improves the accuracy of asset information transfer. As an experienced FM practitioner, I have no hesitation when I say, give me a BIM model every time over any traditional data capture method. Due to the stringent validation carried out during the BIM process, FM can expect the most accurate information about their assets possible. We often hear the cry that BIM just means data overload but, certainly in the case of MainManager, this is unfounded. Whilst it is true that you can capture all the data from a BIM model, the detail needed for FM to deliver its services hasn’t changed that much from a traditional standpoint. The key here is knowing what information is relevant, interfacing that with the FM engine and allowing the remainder to stay in the background for reference. One aspect that does change radically however; is the use of information during FM operations. In the past, the FM would need to identify components manually and then search diligently through a number of volumes within the O&M’s to find the answer to questions. Rather than these being held separately as is still common, MainManager allows us to fully integrate this information into the system. 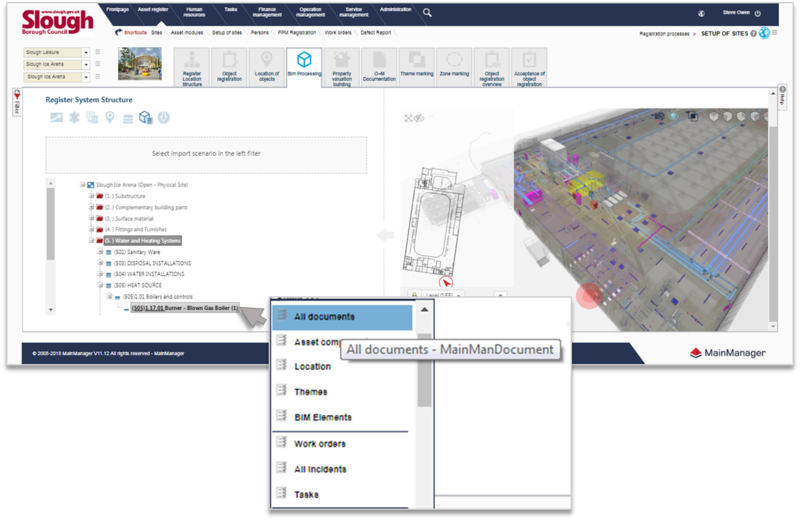 MainManager has a fully functioning Document Management System that also allows connection from files within the DMS to objects within the 3D model and the asset register itself. 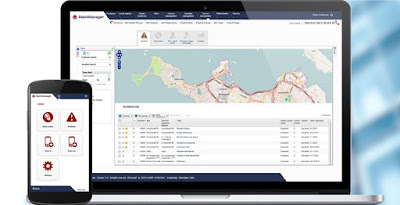 By connecting the documentation, hyperlinks, videos and drawings to the FM system and even the objects themselves, finding information is much more productive. This is a key benefit of BIM for the operational FM and the wider team saving vast amounts of time and speeding up decision making. By utilising MainManager earlier in the BIM process than is usual, we were able to help reduce the traditional issues post-handover. Using the incident handling process we worked with the aftercare team to implement their existing defects process. This approach allowed us to capture and segregate defects from general fault reports. The defects process then kicked in enabling the team to evaluate and process defects and either deal with them and close them out or generate work orders which could then be assigned to the appropriate contractor for action. Maximum use was made of mobile devices so that issues could be captured directly from the front line and automatically captured in the system. A clear benefit of being able to leverage the visual output from BIM within the FM context is that we can now use the ‘virtual asset’ to do much more than simply view a ‘dumb’ 3D model. We can interrogate the objects in the model as we have said before but, we can now also inspect areas within voids, strip back walls, ceilings and floors to reveal the location of hidden objects and use the model as a focal point for discussions and training even when the people involved may be geographically dispersed. This use of BIM models in FM delivery will mature over time and we are already seeing build sequencing on the roadmap for MainManager as well as the ability to carry out EPD, LCM and other condition-based projections. We will soon be using the ‘virtual asset’ to carry out activities such as evacuation simulations, fire safety assessments and plan LCM activities using visual cues. Bringing all of this together with a powerful task management suite that enables planning and costing of maintenance, condition and other tasks over multiple years allows the client to project and adjust operational costs year on year. Again, the quality of data within the model ensures a clear, accurate and granular asset register which allows the generation and implementation of the required PPM regime. Add to this the standard statutory and regulatory tasks and the client is considerably de-risked. The automation of the system and mobile enabled workforce give instant, real-time feedback to managers at all levels with the ability to aggregate reporting across a large mixed portfolio. This is just the start of the journey for the first three centres. Over the coming months and years, the data they generate through operations will feed into the wider estates information providing effective lifecycle data that can be used to make strategic decisions, inform product procurement and suitability and also, reduce the overall cost of service delivery through efficiencies delivered by quality, accessible data.